17 hp. 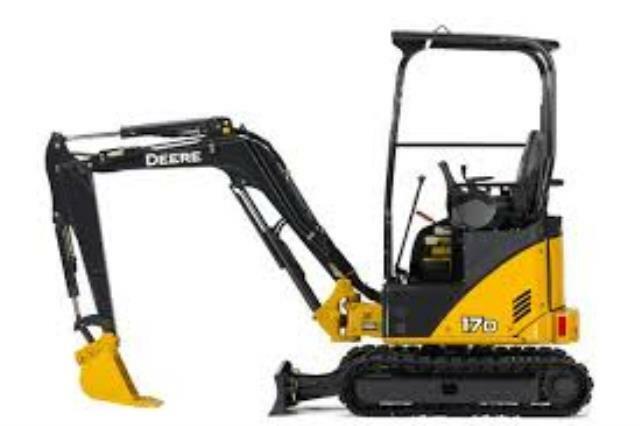 diesel powered tracked excavator that will dig 7'10"(2380mm.). Width 39"-51", height 92" and weight of 3800 lbs(1720kg.). Digging or cleanout bucket available. Delivery available, but not included in rental rate. You can pick this item up yourself, provided you have a proper tandem axle trailer with D rings, ratchet straps and ramps. * Please call us for any questions on our 3800 lb mini excavator rentals in Calgary, Alberta.